So...I was planning to write up a post about the Walkers Shortbread Recipe Challenge today. Buuut, I still need to get all the photos and stuff together, so stay tuned for that! 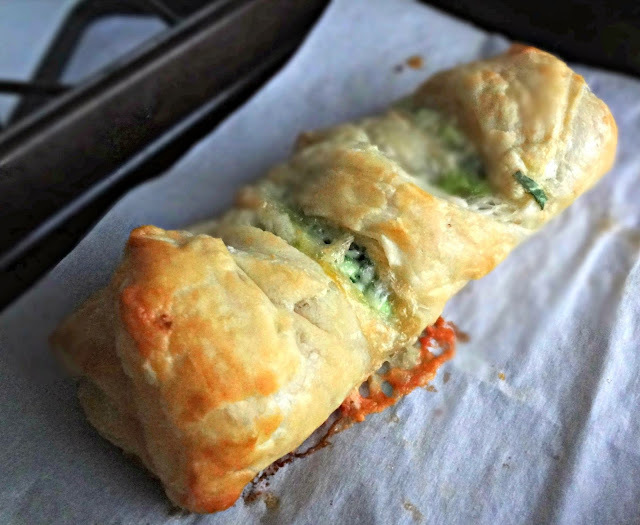 In the mean time, for today I'm gonna share with you a vegetarian, savory, treat--since I'm doing the whole no meat on Fridays in Lent thing (*fingers crossed* last year was the first year I ever successfully did this). 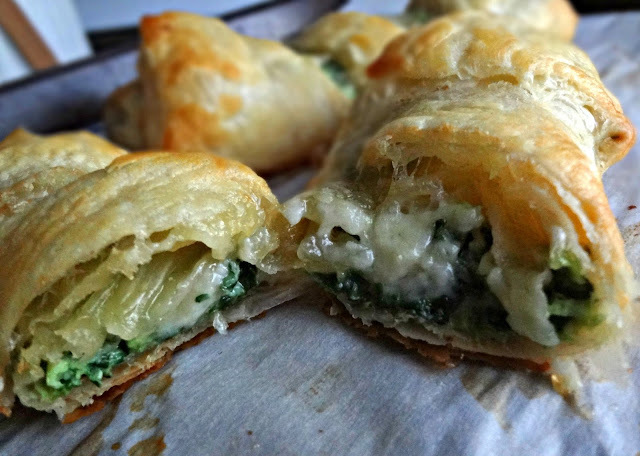 So...yeah, like...can we talk about these pastries for a minute? 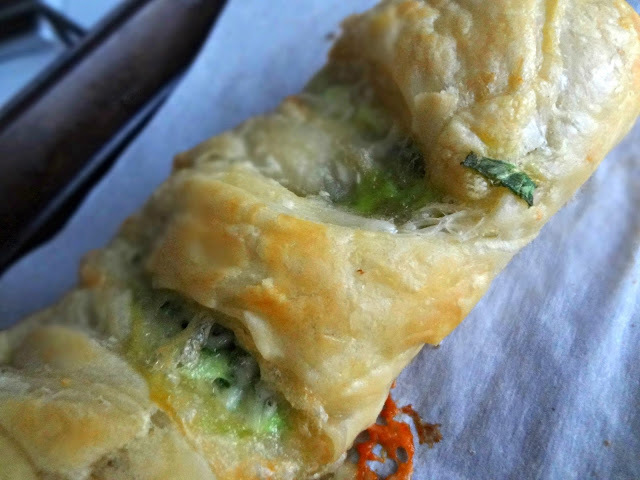 Puff pastry is just flaky, buttery, goodness. The spinach makes me feel healthy. And brie. Oh I love brie. I know it's like fancy French cheese, but...you guys...brie tastes like butter. The flavor is fairly similar to those mini spinach and goat cheese pies I made, but still unique. It's so incredibly buttery and warm and comforting. I couldn't stop eating them. And the recipe only makes 4. So a day after I made the first batch...I made a 2nd batch. Don't judge me. 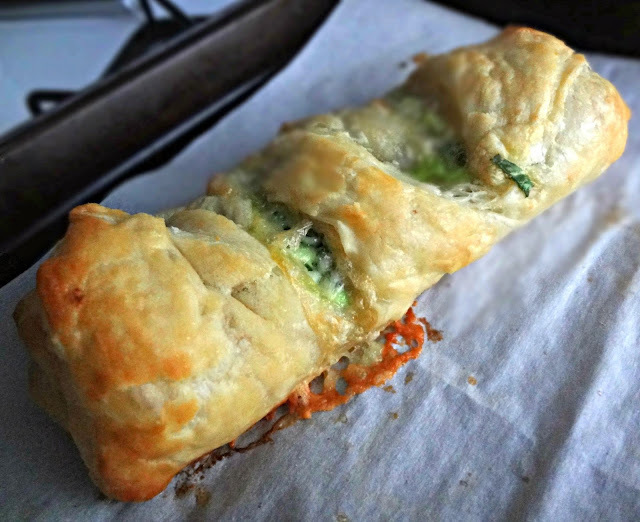 Line a baking sheet with parchment paper or silpain. Preheat oven to 350 degrees. In a bowl mix chopped spinach with half the beaten egg, season to taste (I like to use a little garlic powder). On a floured surface roll pastry into a 16" x 8" rectangle and trim the edges. Lightly flour the top and cut into 4 pieces (approx 4" x 8"). Cut 1 in. strips diagonally on each side of each section, leaving the center intact and with an even number of strips on each side. Carefully transfer to baking sheet. 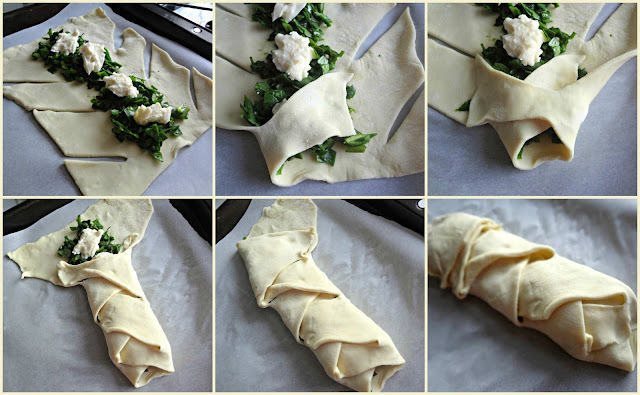 Divide spinach equally in the center of each square, then top with desired amount of brie. 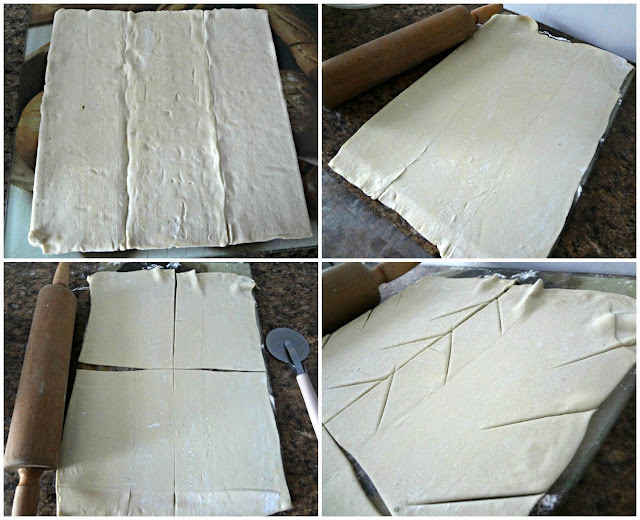 Braid the pastry by crossing the strips over the filling and alternating side to side. Mix the rest of the egg with 1 tbsp. water. Brush the egg wash on the tops of the pastries. Bake 20-25 minutes, until puffed and golden brown. Cool until you can safely eat them without burning your mouth.